Sunny Hundal has decided to close Liberal Conspiracy in its current form. Liberal Conspiracy was undoubtedly one of the big beasts in the forest. If it falls silent then that represents a significant shift in the blogosphere. I’ve been a LibCon reader, and very occasional commenter, for a few years. I found much of what was posted there interesting, even when I was disagreeing. It introduced me to some high quality writing. But, like any multi-contributor site with a significant throughput of posts, it also published some material that was a bit less impressive. the enduring success of Guardian CIF, and more recently the New Statesman and Huffington Post, have made other general opinion-blogs redundant. Frankly, there is just too much opinion out there. 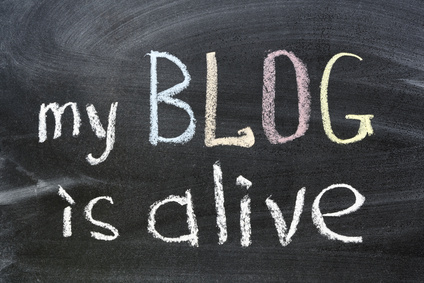 Many of the best bloggers who started out on LibCon have migrated to the mainstream media. These observations have already triggered quite a bit of introspection among political bloggers. Phil at A very public sociologist was one of the first to respond to the news of LibCon’s demise. He broadly agrees with Sunny’s point above, but he goes on to note that in principle “Social media is the great leveller. But ironically, it helps solidify the position of those who successfully made the transition from blogging to getting paid to write”. A quick intervention yesterday morning by Mark Thompson, following a rather unnecessarily unpleasant piece about LibCon in the Spectator, asked whether anyone apart from Guido is making money from blogging. The short comment thread, including comments from some prominent bloggers, is just as interesting as the post itself. I don’t know about anyone else, but once I moved off WordPress.com, in part so I didn’t have to carry advertising that I had no control over, I knew blogging was going to cost me money not make me money. this surfeit of opinion erupting from the every orifice of the internet … has also incited columnists (some of whom should know better) to indulge in trollemic, penning deliberately OTT arguments with the specific aim of generating controversy (see Julie Burchill or Rod Liddle) and in the process making rational debate of the subject almost impossible. Their aim is simple: to get you to click. Not to think, not to think again, not to challenge and certainly not to inform: just click. And in the process amateur bloggers, with a few exceptions, are being crowded out. Stephen’s declaration has clearly got bloggers thinking and debating. Richard Morris responded by arguing that independent blogging isn’t necessarily dead, but it depends on why you blog in the first place. Some people like to blog for fun. Some simply enjoy writing. Some like to mix the serious with the frivolous as the mood takes them. Some like to have an outlet for their thoughts, unconstrained by any editorial line. This latter is a key point also made by Chris Dillow. One of the aspects of this discussion that is left rather implicit is what exactly ‘political blogging’ – this animal that is on its last legs – actually is. It covers a multitude of activities. And I think it would be right to conclude that some of those activities have been largely absorbed into the mainstream. Very few amateurs, for example, have the routes in to the Westminister village to compete with Spectator Coffee House. Organisations with lobby correspondents and the like are going to be able to break the sort of news that keeps the Westminster bubble frothing in ways that amateurs aren’t. And I think the mainstream media generates more than enough commentary – quite a lot of it unilluminating – on the cut and thrust of Westminster debate and intrigue. Independent amateur bloggers are going to struggle to be heard among that cacophony. But I can think of at least three niches that independent bloggers can continue to occupy – and occupy better than the mainstream media. The first is intra-party discussions on the substance of policy. Parts of the mainstream media seem intent on conspiring with politicians to reduce politics to a Punch and Judy show for toddlers suffering from a very short attention span. Yet there remain important debates over policy and principles taking place in the political blogosphere. There is scope for somewhat greater reflection, greater detail and greater dialogue – as long as things can be kept civil. The audience for these debates may not be wide – they are rarely going to engage the general public – but they can make an important contribution to the way political parties make sense of themselves. The second is in providing the sort of robust satirical and critical engagement with policy that is not really possible in the mainstream media. I am struck by the fact that, alongside the introspection about the future of blogging, today at Pride’s Purge there’s a post reflecting on two years of blogging. While its satire is sometimes a bit broad for my taste, the rise of Pride’s Purge has to be one of the most interesting phenomena in political blogging over the last year or so. The author points out that mainstream journalists, as well as political parties, have tried to dissuade him from publishing various posts that expose uncomfortable information to public scrutiny. The idea that we can safely leave critical engagement with the political process largely in the hands of commercial organisations with strong editorial lines seems naïve, at the very least. The third is expertise. Here I agree with Stephen Tall. There is a continuing role for genuine experts to contribute to public debate in accessible ways through online media. Stephen mentions a couple of people. I don’t know Tom Bennett, but Simon Wren-Lewis of Oxford University, who blogs at Mainly Macro, is a fantastic exponent of the art of communicating actually and potentially complex ideas to an intelligent lay audience. He writes mostly about economics, but also has some important things to say about politics and evidence-based policy. I would say that most of my favourite bloggers fall into this category. Chris at Stumbling and Mumbling never fails to connect contemporary political and policy issues with some fairly abstruse ideas and obscure corners of the academic literature in interesting ways. Frances Coppola has built a significant profile as an independent expert on what is happening in the banking industry. Rick at Flip Chart Fairy Tales does a great job of bringing evidence to bear on some of the big policy questions we are facing. In my own field of housing policy, Jules Birch consistently writes strong evidence-informed, analytical posts. And, of course, there are more clearly activist bloggers like Sue Marsh who bring the expertise of authentic experience or Scriptonite Daily who carefully piece together fragmentary evidence in order to demonstrate the damage being done by policy or the hidden patterns in decision making. While these bloggers write in different formats, they are not afraid to break away from standard blogging prescriptions about keeping it to 700 words max. They’ll go long form when the need arises. I think this is an aspect of political blogging that will develop. Even though mainstream outlets like the FT will produce some strong analytical commentary, they typically blanch at the thought of giving an online piece 1,500 or 2,000 words – and a bunch of charts – if that is what it requires to get a complex point across. … academic credentials are neither a necessary nor a sufficient condition for having your ideas taken seriously. If a famous professor repeatedly says stupid things, then tries to claim he never said them, there’s no rule against calling him a mendacious idiot — and no special qualifications required to make that pronouncement other than doing your own homework. Meanwhile, we didn’t need blogs to know that many great and famous intellectuals are, in fact, fools … it’s now a rough world for people who do sloppy work, and are counting on their credentials to shield them from criticism. Somehow, though, I can’t seem to muster any sympathy. The bloggers I mentioned above have interesting things to say about complex topics, writing from positions of knowledge and insight. But mostly they don’t hold conventional academic positions (as far as I’m aware). They deserve to be read for the quality of what they write. Finally, the whole political blogging landscape will continue to evolve. New models will be tried. New spaces will open up. Guerilla Policy, for example, has an interesting model. The challenge for an independent blogger is to find an audience. One way to do so is to include your blog in an aggregator of some sort. Guerilla Policy comes at the issue from the other direction. It has no permanent roster of bloggers but operates a curatorial function – instead approaching individual bloggers that they think have produced high quality work, on a post by post basis, and asking permission to crosspost to their site. Another type of space would be something like Pieria, which seeks to foster dialogue between expertise and industry. The aim, I would assume, is to develop a thematic community rather than a community based on political alignment. The focus of Pieria is largely economics and finance, but with a strong policy edge. You could imagine something similar in other policy areas, or with a more general policy focus. It seems premature to pronounce the imminent demise of political blogging. Many people will continue to blog because it is fun and it gives them somewhere to vent. But it is likely that certain types of blogging are going to wither. Independent blogging is going to have to offer something distinctive if it is going to retain broader appeal. In many cases that is likely to be something more analytical. Bloggers can bring different types of insight to those on offer in the mainstream media. And that is no bad thing. In fact, unless current trajectories are altered, we could argue that is going to fall to bloggers to maintain any degree of analytical depth to public discourse on political matters. Because the mainstream media is unlikely to manage it on its own. Excellent and thought-provoking piece. I’m pleased to be listed here. I’ve certainly got a lot from the blogging platform. 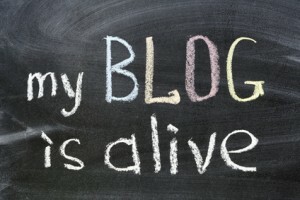 I don’t think blogging is anywhere near dead, but surely will evolve. I’ve enjoyed some great collaborative work with independent researchers, online activists and campaign groups in recent months who’ve chosen to use a decent blog to write and host their project than other media sources – for many of the reasons you cite (space, willingness to break out an alternative angle) and one other – accessibility and friendliness. If we can keep out of the snarky behaviour, link bait, and taking ourselves too seriously. There’s an opportunity for us to remain useful to people.